A fast Top 8 and an even faster finals put an exclamation mark on a fiery weekend spent in the heat of Richmond. With a whirlwind of a weekend in the books, Adam Styborski, Tobi Henke, Meghan Wolff, and Blake Rasmussen look back at the amazing stories that unfolded over three days in Virginia. While seven of the eight quarterfinalists were running Goblin Chainwhirler, their decks didn't all look alike. There were some very relevant differences. Most notably, Kazuyuki Takimura had brought a deck unlike any of the others. His build was more reminiscent of the "Big Red" decks of formats past, and even featured a sizeable black splash all the way to main deck Vraska's Contempt. On the other end of the spectrum, Wyatt Darby's Mono-Red Aggro was extremely aggressive, featuring seven one-drops and six two-drops. Lumping these two together wouldn't do justice to either. In between the two, one could find a red deck with the tiniest of splashes for Scrapheap Scrounger and a couple of black sideboard cards as well as Red-Black Aggro. Hall of Famer Martin Jůza predicted on Friday that we would see the return of Bomat Courier. The Top 8, which included 23 copies of the hasty Construct, proved him right. Because the next Pro Tour—Pro Tour 25th Anniversary—is a team tournament, this weekend was the last opportunity for players to earn points toward the titles of 2017–2018 Draft Master and Constructed Master. Sweden's Elias Watsfeldt secured the Draft Master half of that duo of distinction. 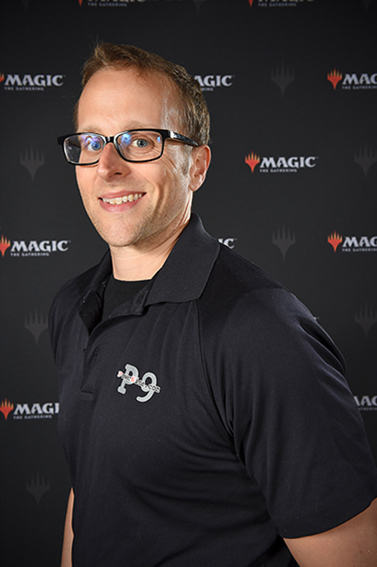 He finished Pro Tour Dominaria with a sizable lead due to an impressive Draft record of 16-1-1 across three Pro Tours. You can read all about it here. The race for 2017–18 Constructed Master was much tighter than that. No fewer than three people held the lead at various points during Day Two, with the lead changing hands during the final round! Relive the amazing race as Matthew Severa of MetaGame Gurus Sun held off MetaGame Gurus Moon's John Rolf to claim the title. At Pro Tour Dominaria, the members of Ultimate Guard Pro Team set a new record for Pro Points earned at any one Pro Tour this season. A full five of them placed in the Top 75, which works out as only the five best players' results count toward the team total anyway. 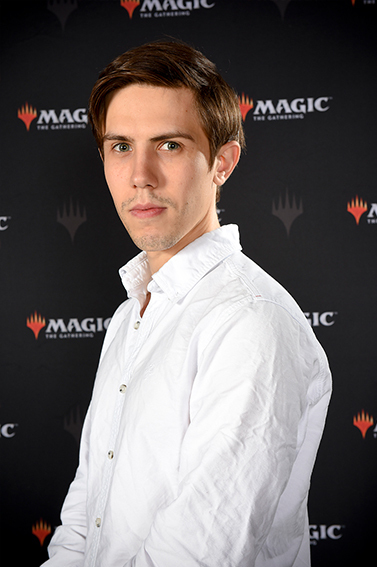 Reid Duke and Jon Finkel finished in the Top 25, and Owen Turtenwald made it all the way to the semifinals. Turtenwald's was the big story here. He didn't lose a single match of Standard all weekend until he ran afoul of eventual champion Wyatt Darby. 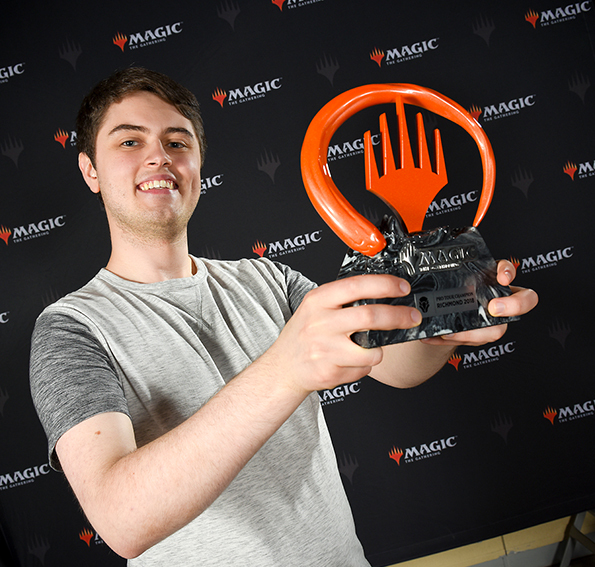 Reid Duke's 15th place finish was notable too, specifically because he had been out of contention for a Top 8 berth by Round 5. With a 1-4 start, it didn't look as if Duke would be able to contribute much to his team's point total. However, Duke wouldn't be Duke if he weren't able to keep his calm and soldier on. He rattled off a string of eleven straight wins to finish with the second-best record of anyone on Ultimate Guard Pro Team. Ultimate Guard Pro Team wasn't the only standout from the weekend. Hareruya Latin continued to outperform nearly every team, earning another 42 Pro Points toward their Team Series standing—the second highest at this Pro Tour. The string of strong finishes for a Hareruya Latin member continued as Márcio Carvalho was the last to secure his place in the Pro Tour Dominaria Top 8. While he'd eventually fall in the semifinals to fellow Portugal native Gonçalo Pinto, defeating Kazuyuki Takimura was a tender moment for the close team. While Ultimate Guard Pro Team extended their top-of-the-standings lead, Hareruya Latin's sustained success speaks volumes to the dedication the team is taking to each Pro Tour—and their plan to be the second team in the playoff at the 2018 World Championship. With a close pack of teams chasing behind, it falls to Pro Tour 25th Anniversary to determine if any team can overtake the South American team—or leapfrog the gap Ultimate Guard Pro Team carved out in Richmond. When you're racing decks as explosive as Red-Black Aggro and Mono-Red Aggro, it feels like anything can happen. But sometimes it really does. After Wyatt Darby's two quick wins, Gonçalo Pinto battled back with two wins of his own. The dramatic fifth game was filled with attrition and thoughtful attacks. Eventually, an Aethersphere Harvester and lonely Thopter token from Pia Nalaar gave Pinto the attacking edge. While Darby found—and put to good use—Hazoret the Fervent, things looked bleak for the eventual champion as he fell to 1 life. He needed to deal 11 damage, somehow overcoming a swarm of blockers on the ground and what looked like a hopeless position to come back from. But sometimes anything really happens. Glorybringer off the top of Darby's library with an exactly lethal combination of attackers and an opponent caught without any removal spells—it's a moment etched into the incredible topdeck moments of Magic history. That little anything earned Wyatt Darby everything: the Pro Tour Dominaria trophy, $50,000, and a seat at the 2018 World Championship this September. It's Magic. Anything really can happen.